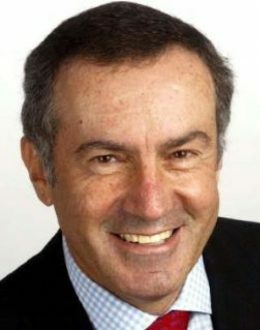 Andres Oppenheimer is the Latin American editor and syndicated foreign affairs columnist with The Miami Herald. His column, The Oppenheimer Report, appears twice a week in The Miami Herald and more than 60 U.S. and foreign newspapers. He is the author of “Saving the Americas” (Random House, 2007) and four other best-selling books, is a regular political analyst with “CNN en Espanol”, and anchors his own Spanish-language television show, “Oppenheimer Presenta” which airs in the United States and 19 countries. He is the co-winner of the 1987 Pulitzer Prize as a member of The Miami Herald team that uncovered the Iran-Contra scandal. He won the Inter-American Press Association Award twice (1989 and 1994), and the 1997 award of the National Association of Hispanic Journalists. He is the winner of 1993 Ortega y Gasset Award of Spain’s daily El País, 1998 Maria Moors Cabot Award of Columbia University, 2001 King of Spain Award, given out by the Spanish news agency EFE and King Juan Carlos I of Spain, 2002 Overseas Press Club Award and the Suncoast Emmy award from the National Academy of Television, Arts and Sciences in 2006. Born in Buenos Aires, Argentina, he studied law, and moved to the United States in 1976 with a fellowship from the World Press Institute. After a year at Macalester College in St. Paul, Minnesota, he obtained a Master’s degree in Journalism from Columbia University in New York in 1978. His previous book, “Ojos Vendados: Estados Unidos y el negocio de la corrupcion en America Latina”, on the role of U.S. corporations in recent Latin American corruption scandals, topped Argentina’s list of best-sellers in May, 2001, and was on the best-sellers’ list in Mexico and several other Latin American countries in 2001 and 2002. Oppenheimer has also written “Cronicas de Heroes y Bandidos”, a collection of reports from various Latin American countries over the past two decades, was a best-seller in Mexico and several other Latin American countries.